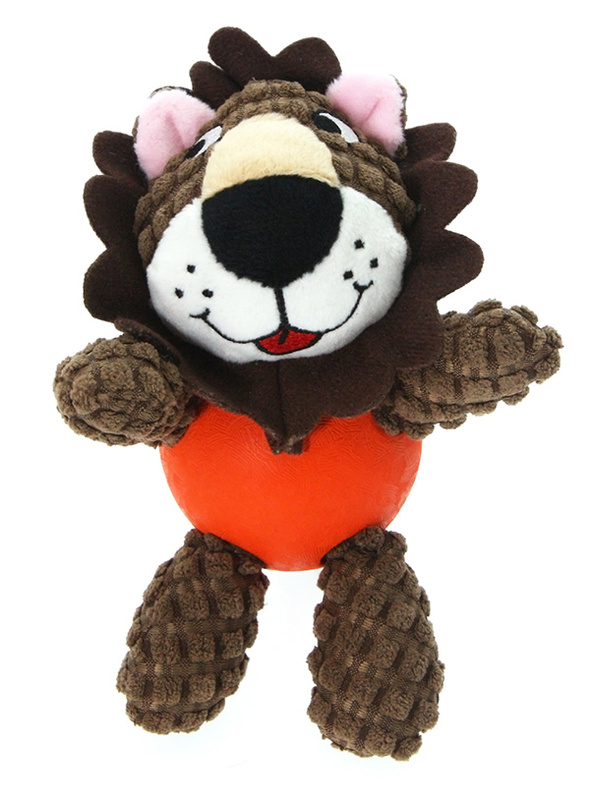 The body of our Simba Lion Ball Toy is actually a hard rubber ball and is a great interactive toy for playing 'fetch'. He is quite robust and will stand up to a lot of chewing and biting. The rest of him is cuddly and colourful with an added squeak to entertain your pet! This toy will provide hours of fun for your pup as he squeaks with every bite. These soft, cute and cuddly toys are designed for your dog to both snuggle with and play with. The body is actually a hard rubber ball!